stars - Based on 7 reviews. 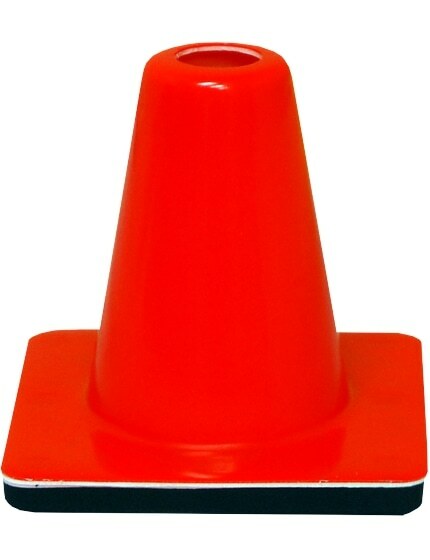 Our 6" Orange Wide Body Traffic Cone, 6" x 6" base, approximately .75 lbs. each, flow molded in bright fluorescent orange color. Our six inch Orange plastic mini cones can be used as a sports or training cone, or mark a course or path. Often used as soccer cones, they are also popular for use with Football, Lacrosse, or Field Hockey. The small 6-inch size is great for home use, inside buildings, and other specialty uses where a smaller cone is best. 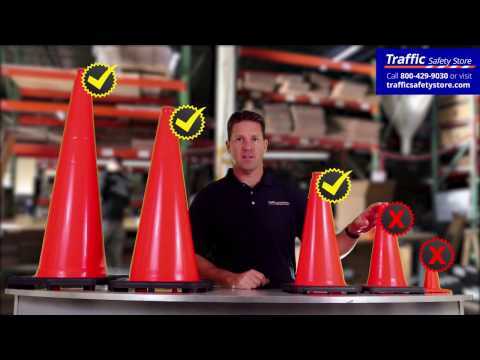 These 6 inch orange cones are also great for track and field events as well as personal training, general athletic field marking and are tough enough for use in setting up driving courses. Exact product we were looking for. Easy purchase. Easy website. On time delivery. Just as advertised. Flexible enough to use for football practice, as to not cause injury if you step on one, but heavy enough that they stay in place with the wind. Great product. I use the cones to help my child with his bicycle skills. I also use it with improving my longboard skills. Got exactly what I ordered and on-time! Easy and detailed ordering, great description of products.